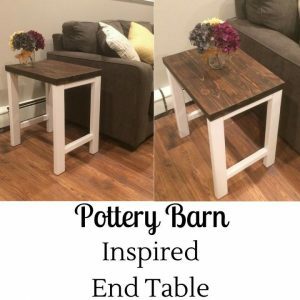 Want to create a Pottery Barn look for a fraction of the cost? Check out how I created these 2 end tables. fter searching thrift stores, Home Goods, Overstock etc. 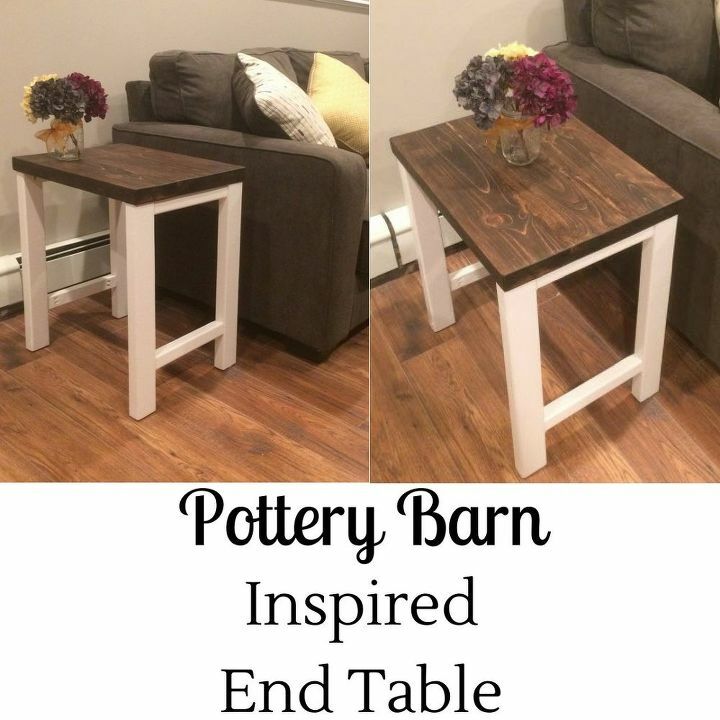 for end tables for my newly renovated basement I gave up! I couldn’t find what I wanted within my budget. What I did find was the exact style I wanted, albeit in a slightly different color scheme, AND with a hefty $500 price tag. Here is my Pottery Barn inspiration!